The 'Help' menu in the file menu bar enables you to access the online help guide and know about the version number of KillSwitch in your system. 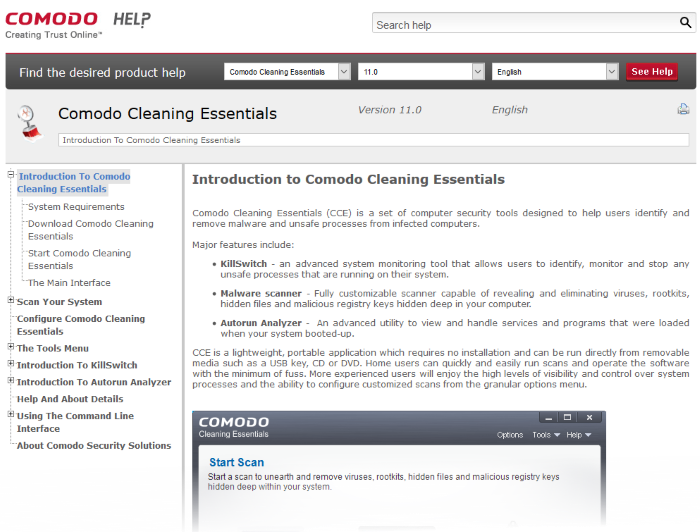 The 'Search' option opens the online help guide hosted at http://help.comodo.com/. Each area has its own exclusive page containing detailed descriptions of the application's functionality. You can also print or download the help guide in pdf format from the webpage. 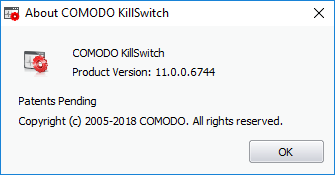 The 'About' dialog displays the KillSwitch version number and copyright information.